Zev Jabotinsky, the grandson, answers questions on Jews and Israel. Modern Israel – in spite of, not because of, the Holocaust. 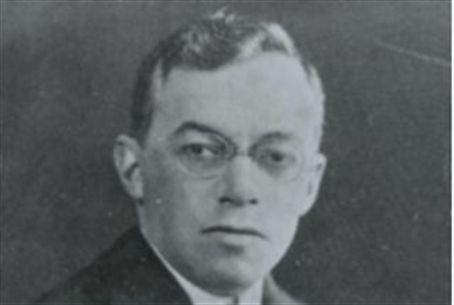 A small memorial for Zionist visionary Zev Jabotinsky organized by the LIkud Anglo Organization last week featured speaker Zev Jabotinsky, the grandson. Jabotinsky and a handful of leading Likud politicians answered questions regarding the pressing issues facing Israel. Jews have a right to the land of Israel under international law, a fact that too few Israelis are aware of, he said. When asked if the state of Israel was created due to international guilt over the Holocaust, he replied, “Israel was created in spite of the Holocaust, not because of it.” International recognition of the Jewish people's right to reestablish its homeland began decades earlier, he noted. Minister of Education Gidon Saar and Vice Minister Silvan Shalom spoke about issues regarding the Palestinian Authority, and in particular, the PA's threat to go to the United Nations in September for unilateral recognition of a PA-led Arab state in Judea and Samaria. Both agreed that the PA is likely to enjoy an automatic pro-Arab majority in the General Assembly, but that Israel stands a chance of getting a “quality minority” to oppose the measure. Saar and Shalom also discussed their latest political initiatives, such as Saar's plans for educational reform and cheaper schooling, and Shalom's hopes to move Israel to a Saturday-Sunday weekend.